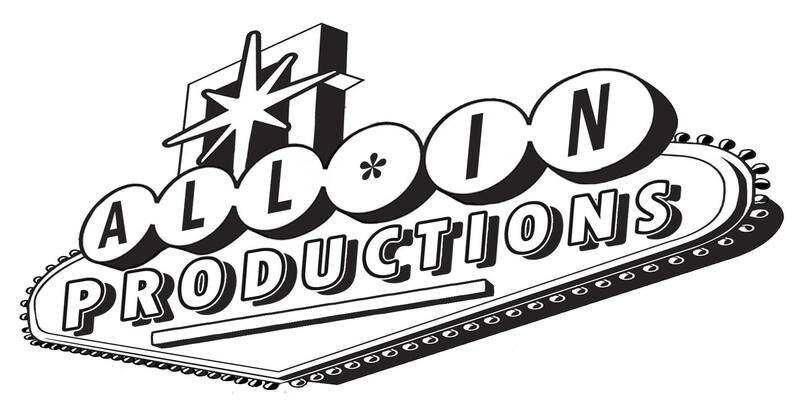 As part of its restructuring, All In Productions is proud to announce that Beth Lewinski is the newly elected Board President, serving a one year term. Niko King has been elected as Vice-President, also to serve a one year term. Elected to two year terms are new board members Nancy Backes, Steve Pfisterer, and Wes Shaver. 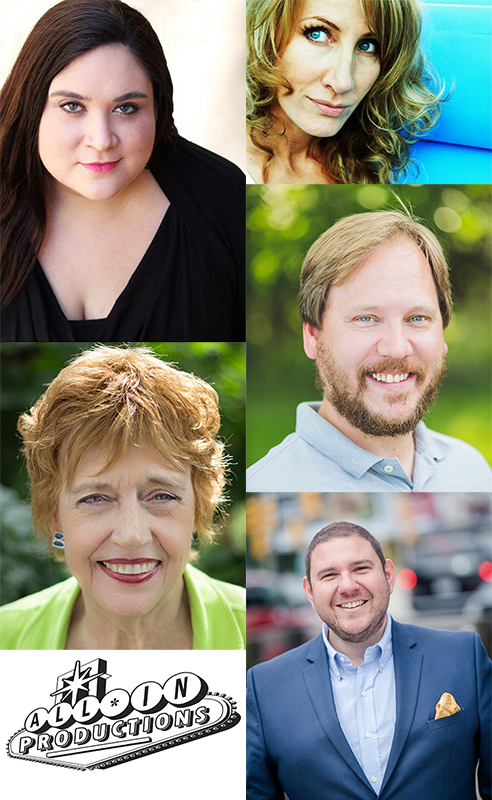 “This is a great, passionate, and knowledgeable group that will be serving as our board, and we know they will help lead us forward as we move into our fifth season and beyond.” said Alex Scheurell, AIP co-founder, Executive Director, and former Board President. Beth Lewinski is a performer, director, playwright and instructor. A Milwaukee native with a degree in Film, Television and Theatre from the University of Notre Dame, she has worked with/for the Alchemist Theatre, ComedySportz Milwaukee, Radio WHT, Sketch 22, Schmitz and Giggles, V-Core productions, MoJo Dojo, Milwaukee Metro Voices and others. She is co-host of the podcast “Who’s Doing What Now” and featured on All In Productions “WAIP” (formerly “PodCast and Crew.”) She regularly performs with and is Associate Producer of Dinner Detective Milwaukee. She is thrilled to be serving as Board President for All In Productions. Niko King is excited to be taking on an expanded role with AIP. She has worked with a multitude of theatre companies in the area and odds are you’ve seen her onstage or even in one of MIlwaukee’s many local indie features. Nancy Backes is thrilled and honored to take a seat on All In Productions’ board. She has been a fan of AIP since its beginning, and she served as dramaturg on past productions, including Next to Normal, The Wild Party, and Ordinary Days. Other local dramaturgy includes Flyin’ West (Bronzeville Arts Ensemble) and Bloody Bloody Andrew Jackson (Soulstice Theatre). A retired Associate Professor and Chair of the Department of English at Cardinal Stritch University, her first scholarly publications involved theatrical subjects, particularly playwrights Tina Howe and Wendy Wasserstein. One of her recent essays analyzes how Elaine Stritch successfully performed a destabilized old age. Still active in academic life, Backes will assume the presidency of the Age Studies forum of the Modern Language Association in 2019, and she will present a paper at the annual MLA convention. She welcomes her advocacy role for AIP, a theatre that enables cast, crew, and audience to seek and embrace fresh perspectives. Steve has been heavily involved in the Milwaukee Theatre community for over 20 years, both on stage and behind the scenes. He spent 8 years working on the creative board of Soulstice Theatre and is the VP of his kids PTA. He looks forward to working with all the amazing people at All In to keep producing amazing productions for the Milwaukee audiences to enjoy for years to come. Wesley Shaver is thrilled to join the All In Production’s Board of Directors! Wes is originally from Cleveland, Ohio but moved to Milwaukee in 2003 where he earned his undergraduate degree in Theatre Arts from Milwaukee’s own Cardinal Stritch University. After completing that degree, he pursued a Master’s Degree in Sport Management with a focus in end-game entertainment, food and beverage operations and hospitality management. Over the past decade, Wes has worked with Milwaukee based hospitality groups such as SURG Restaurant Group and Wild Planet Hospitality Group focusing on brand &amp; concept development; as well as entertainment and programming. In 2012, Wes developed ground breaking undergraduate and master’s level entertainment and hospitality business programs for Concordia University’s School of Business and served as the lead faculty member for four academic years. In 2017, Wes formed Revolve Experience Management and operates Milwaukee based food and beverage operations at Black Sheep and The Schwabenhoff. Mr. Shaver also serves as President of Milwaukee Pride, the parent organization for the internationally known, Milwaukee LGBTQ+ festival, “Pridefest,” which serves 45,000 attendees annually. Milwaukee’s performing arts culture, but helping shape it. Wes is looking forward to helping the company’s leadership and board of directors on strategic planning, program implementation and development efforts to drive fundraising and sponsorships. Mr. Shaver is passionate about advancing the performing, fine, and visual art communities in Milwaukee and is thrilled to be taking an active role with All In Productions. ← Previous post:Thanks to The Morning Blend for having us on to promote Songs for a New World!